Training your dog for success on long retrieves includes many aspects, the most obvious being that you need to practice marks that are farther than the shotgun-range distances where many birds fall during a hunt. If all you do during training is chuck bumpers out to 40 yards because that’s all your arm is capable of, you’ll develop a dog that expects to find birds at that distance every time and might hesitate to push beyond that area. Working with a training group so you can place throwers at varying distances is fun and productive, but even a solo trainer can set up some meaningful exercises. 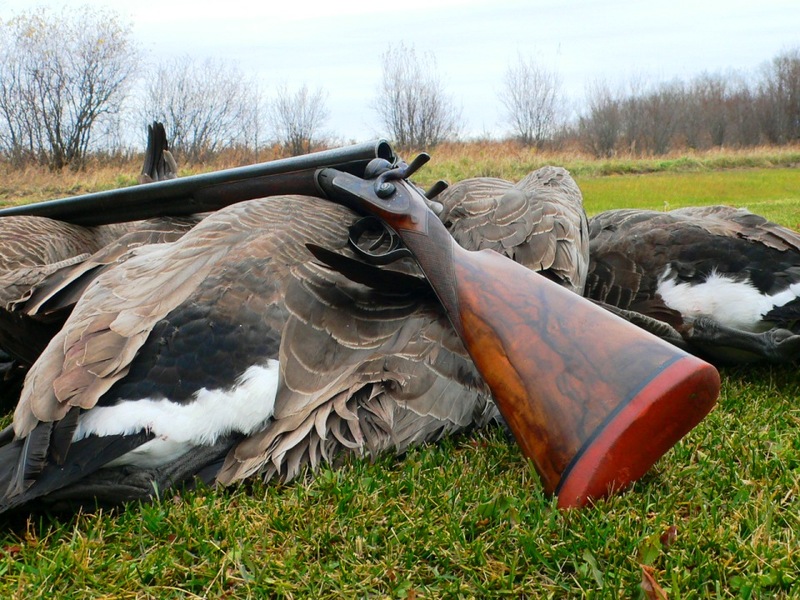 The goal is to increase the odds that your retriever can close the deal on birds that fall in thick cover or at ultra-long distances during hunting season. Following some simple but important principles during training sessions will help your dog be more successful in the field. 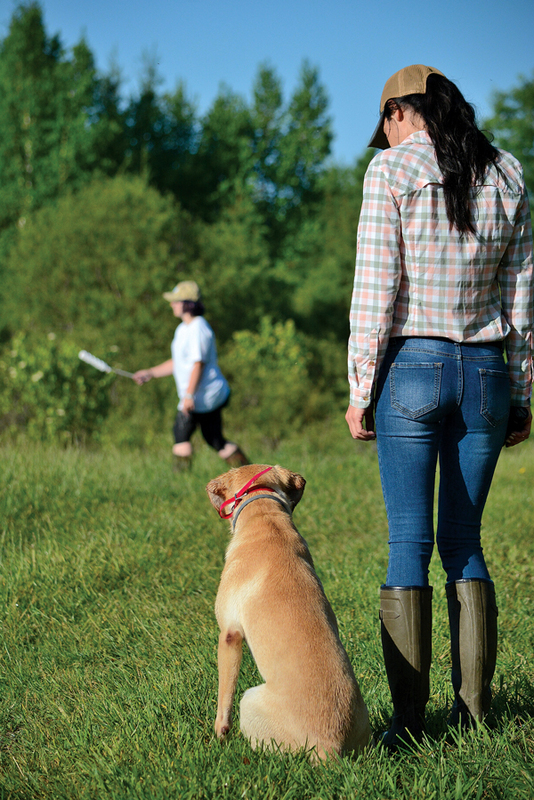 Have your dog sit and stay, and then walk 40 to 50 yards into the field. Pop off your training pistol, and toss a bumper. You can release the dog with a voice command while remaining at the spot that you threw from, or you can return to the dog and send it for the retrieve. When your dog makes the retrieve, have it sit again while you walk in another direction. Repeat, being sure to vary the distances. The most important thing here is that this drill forces your dog to pay close attention, because every throw is different from the last. Even if you have only a couple of acres to train on, you can create five or six completely different tests. Every now and then your dog might need help finding the bumper. It’s largely a judgment call as to when to provide assistance. I like to give a dog every opportunity to come up with the bumper on its own. But if your dog is hunting so hopelessly far from where the bumper fell that you don’t think it will find it, walk to the area of the fall, clap your hands and give some, “Hey, hey!” encouragement, with the intention of having the dog come back and find it. No luck? You might have to pick up the bumper and give it another toss to re-engage the dog. You can set up similar tests on water by having your dog sit at one end of a pond while you walk toward the other and then toss the bumper. This is a good time to drop in a few decoys, and then flip the bumper well beyond them, so the dog learns to ignore the distraction and that not every bird falls in the fakes. If your dog is unfamiliar with decoys, do a couple of training sessions with decoys on land first. Set up some easy marks that require the dog to run through the decoys to pick up the bumper. It won’t take long for the dog to begin disregarding decoys and focus on the throw. Build out the distances on both land and water as the dog improves its marking ability, and you’ve just taken huge strides toward getting your dog to hunt beyond the 40-yard line. • Wear white—When the thrower wears white, it helps the dog key on the area that the throw will come from. For those who think that this is cheating or unrealistic because it isn’t like real hunting, remember that the goal is to build the dog’s confidence by encouraging success. When your dog was a puppy, you didn’t start with camo bumpers, right? You used white, to help the pup see them more easily. Same concept. • Don’t help too much—There may be times when you want the thrower to pick up the bumper or bird and toss it again because your dog is so far off course that you don’t think it will ever be able to be make the retrieve. Just as in the example I used earlier, try to reserve that kind of help for extreme circumstances. You want the dog to search thoroughly, not to start looking at the thrower whenever it doesn’t find the bird right away. • Quiet, please—Related to the above point, when your dog is trying to locate a mark, keep your mouth shut. Please! Shouting encouragement from long distance doesn’t do anything to help the dog; in fact, it might distract it. Your retriever presumably knows that it is looking for something to bring back. Let that dog hunt! • Angles matter—Insist that your thrower tosses the bumper in the direction you ask. I like to have my assistants throw the bumper (or bird) perpendicular—at the very least—to the dog and me. More often I want the throw to angle back and away from us. I want to encourage the dog to run hard until it finds the bird, not to get within 20 yards of the thrower and break down and start hunting short. • Watch the wind—As a general rule, try to avoid running a dog directly into the wind. A dog that has learned to use its nose may be tempted to start working back and forth long before it gets to the mark. All of this marking practice is a sight exercise, not a scenting test. You want your dog concentrating on watching the fall of the bird and charging to it on a straight line. In a perfect world every bird you shoot would fall so close that a blind bulldog could find it. In reality, each time a bird tumbles out of the sky it’s a new and unique challenge for your retriever. Set up your dog for success, and you’ll have more opportunities to enjoy seeing your dog complete those long, difficult retrieves—and that has to rank as one of the highlights of waterfowling.